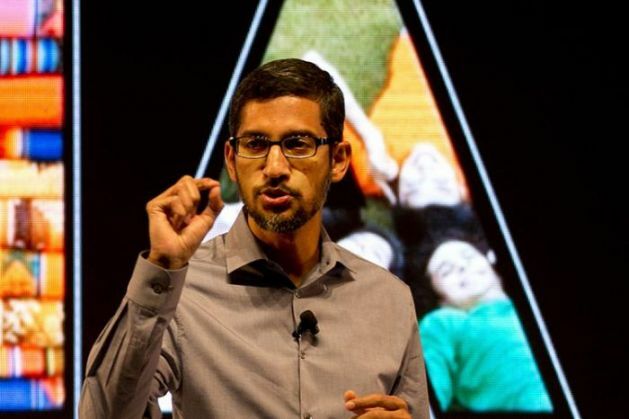 Sundar Pichai interacted with students in Delhi on the first day of his maiden visit to India after having taken over as CEO of Google in October this year. On 17 December, Pichai addressed students at the Shri Ram College of Commerce, Delhi University. The Google CEO enthralled the students with his wit and his interesting anecdotes about growing up in India. He also made some exciting announcements. "Google is looking at hiring people for Bangalore and Hyderabad... We will also build huge new campus in Hyderabad to build capabilities. We will ramp up our engineering investments at our Bangalore and Hyderabad facilities", he announced. - We are always innovating and building products for the future. Constantly thinking about what to do next. - We have always had an ambitious mission. We want to do even better job. We want to do much better with Artificial Intelligence and machines. - Google is an amazingly fun place. When I came there, I was like a kid in a candy store. You walk around and people are working on amazing things and trends in future will come from India. - I have worked with them (Larry Page and Sergey Brin) for many years. They are still very involved and equally ambitious. For me it was truly a privilege to get this opportunity. - Part of reason that we are interested in India is because it is young. In many ways the trends of the future will come from India. - On women internet users: Women are less than 1/3 of internet users. Most important thing is to bring women online. He also shared - "When I was a kid, I didn't like sweets. I used to take payasam and add sambar to it" ,Sundar Pichai reminisces! And most interestingly, he said "For Android N, we may consider an Indian dessert, may also do an online poll." HB: When did you buy your first phone? What was it? SP: My first smartphone was in 2006. It was a Motorola. HB: How many smartphones do you have now? HB: Should coding made compulsory? HB: What was your first software project? HB: How much did you score in class 12? HB: Where do you see Google in the next 30 years? SP: We are still able to work on problems that bother people in day to day basis. Much has been said about Pichai's memory. Did you know he still remembers all the phone numbers from his childhood? "When we were kids and there was no smartphone storage, my relatives would actually come up to me and ask for numbers," Pichai told the students. Pichai will also meet President Pranab Mukherjee and Prime Minister Narendra Modi during his two-day visit.